This Sukkhi Gold Plated Bangles are made of copper. 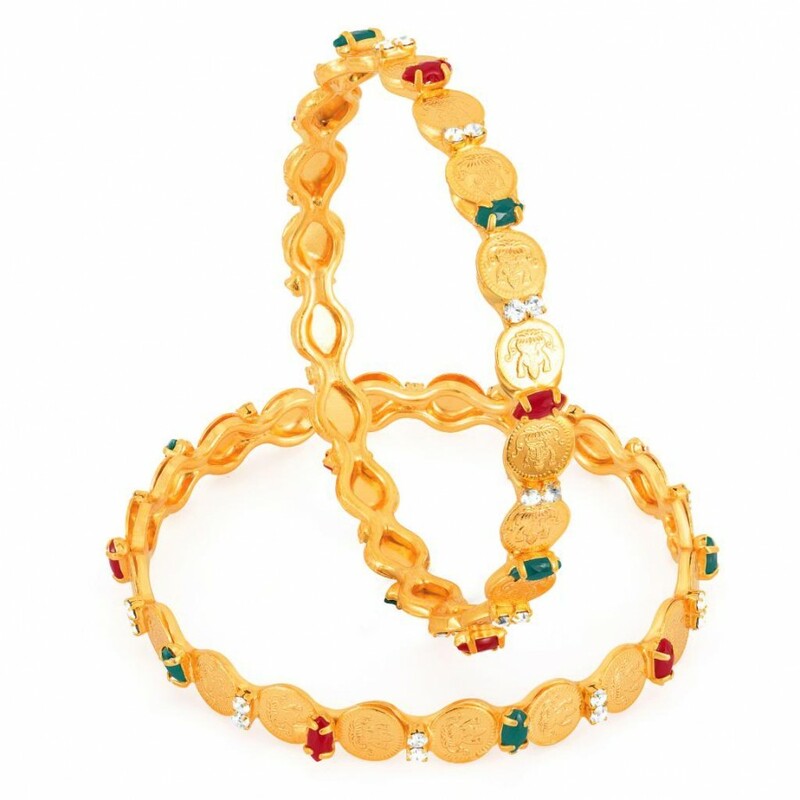 This Bangles are studded with Color & emerald. The plating of the metal done by 18ct. Gold. This bangles has high end fashion design which has elegance and style. That will add radiance to the natural beauty of a woman.